Gee is a freak of nature out there on the field and his offers should reflect those of a metro Atlanta star linebacker by the time we done with his recuritment. 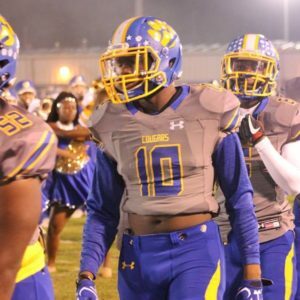 The 2019 backer is tackling machine, leading the state of Georgia with over 200 tackles his sophomore season. He tracks the ball carrier using his elite acceleration and his motor there on the field cannot be questioned. Gee is a natural out there on the field, takes elite angles on his tackles and seems very comfortable in pass coverage. The 2019 recruit is a no-doubt P5 football player. Adding weight to his frame is the only true concern, but he still will end up over 220 at the next level. Junior film is really short and his tackling numbers took a hit. Seems like the injury bug got him but he looked good as ever in the Rising Seniors Game.